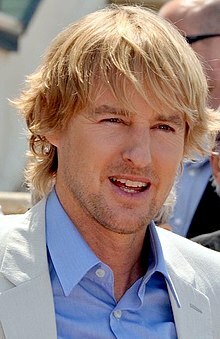 Owen Cunningham Wilson (born November 18, 1968) is an American actor, writer, producer an screenwriter. ↑ "Today in history: November 18". msnbc.com. November 18, 2006. Retrieved April 13, 2012. This page wis last eeditit on 11 Januar 2016, at 23:43.